One of the important parts of financial planning involves dealing with your child’s current or future college expenses. Even though you want your child to avoid dealing with the stress of heavy student loans right out of college, you also don’t want to make too many sacrifices that would obliterate your own finances. Adopting a savings habit and setting up an account specifically for college expenses can make it easier to manage those college expenses as they arise. The average annual cost of public college is above $20,000 and it’s more than $40,000 a year for most private schools. So starting a savings fund for those expenses sooner than later can help you manage the high cost of college with less stress and less borrowing. The 529 plan is a college savings option that is available in every state and is a tax-free savings vehicle. Whether you are starting to contribute to the plan when your child is young or even already in high school, you may find it that much easier to stash away that cash if you do it on a regular monthly basis by taking the money right out of your paycheck. Some states also give you a tax deduction for all 529 contributions. Visit www.savingforcollege.com for more information on how a 529 college savings plan works. 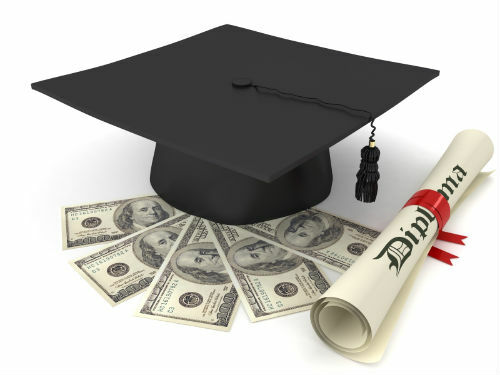 One tip for managing your child’s college expenses is to apply for financial aid on time. This usually occurs in the fall months (October through December) or in winter and early spring (January through April). For example, you can fill out the CSS Profile, a financial aid form that some selective colleges require, in October. But you’ll need to complete the FAFSA, the most popular financial aid form required, starting in January. By applying for financial aid, you may qualify for government aid, such as Pell Grants or need-based aid that can offset various college expenses and make it easier to manage your overall budget. Make sure you apply for financial aid early but don’t overlook other options such as scholarships through private organization, corporations and community groups, as well as from the college your child will be attending. While private scholarships or institutional scholarships (known as merit aid) can help , be realistic in your expectations regarding how much free aid you may get versus how much “self help” aid (like loans or work study) you are likely to qualify for. Even though it can be tempting to dip into your retirement account just to take care of those college expenses, you shouldn’t have to sacrifice your retirement money just to pay for your student’s college years. It may be difficult to build that retirement savings account back up so avoid using those funds at all costs. Plus, taking early distributions from a 401(k) plan could subject you to a 10% tax penalty from the IRS, as well as ordinary income taxes on the money withdrawn. Think through your budget and be practical about how much you can afford to take care of your student during his or her college years —specifically, how much you can swing in terms of paying for living expenses, tuition, and other costs. Once you establish a monthly or annual spending limit, stick with it. You and your student may need to sit down and put together a budget so that you can determine whether they need to borrow a modest amount of student loans, and even how much they may need to earn on their own. 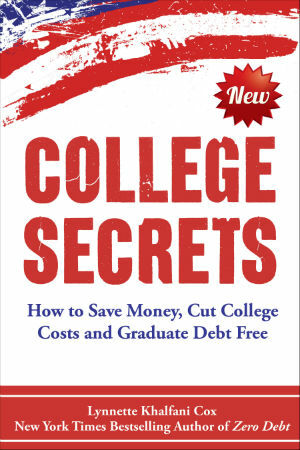 By taking these five tips for managing your child’s college expenses, you’ll give your offspring a good head start into adulthood, but you won’t put yourself in the poorhouse in the process.